Discover Portugal with DHL Express! Portugal is located in the west of the Iberian Peninsula and only neighbours Spain. Portugal has a diverse landscape and regions with a coastline facing the Atlantic Ocean. Moreover, the Azores and Madeira, islands in the Atlantic, are part of the country. 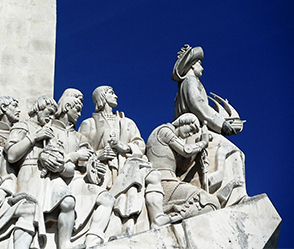 Historically, Portugal has been an important seafaring nation because of its strategic location and natural ports. For this reason, the Portuguese empire used to rule many colonies. Portugal has close links to Luxembourg. In the 1970’s, Portuguese people began to immigrate to Luxembourg because of economic reasons. Today, approximately 80 000 Portuguese live in Luxembourg. This is about 16% of the total population. Therefore, one can find many Portuguese products in Luxembourg. Portugal’s economy is recovering, but still facing debts. Tourism is a major engine for growth in the country. Moreover, the textile industry, agriculture, pharmaceuticals and vehicle parts are growing sectors. 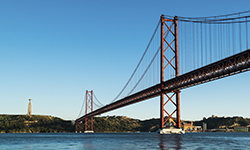 DHL Express can help you to develop your business within Portugal. Due to our strong local network, we safely deliver your important packages and documents to any destination. Simply ship to cities like Lisbon, Porto or Funchal. Go ahead, we even cover the most remote areas!